It’s 2019, and today businesses are expected to have a strong presence online. In fact, companies have begun to take advantage of the possibilities that the online world has to offer and many businesses that only exist online have been founded. One of the driving forces is the fact that online businesses are much more affordable when compared to running a physical store. Starting a store on Shopify costs a fraction of the physical store cost. However, to keep your online business competitive in a rapidly changing online environment, it is important that you make the right investments. In this blog, we will be introducing to you eight Shopify apps that all e-stores should invest in right now. Integrating your store with the right applications and tools will help to enhance how profitable your online venture is while helping to expand your brand. 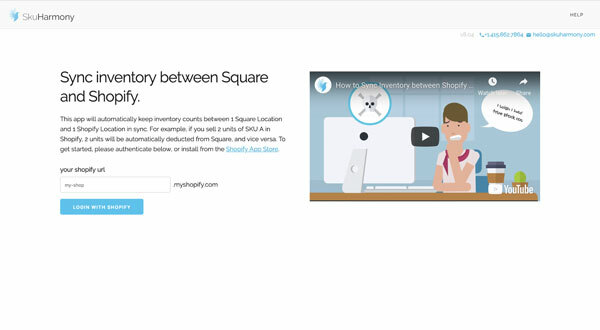 Now you can get to sync Shopify with Square with the help of SkuHarmony. For shop owners looking for ways to have their inventory count synchronized across Shopify and Square, this is the app that you need. Whatever sails are made in your Square store will get deducted automatically from your Shopify store and vice versa. With this app, keeping track of your inventory counts is easier since they are always synchronized seamlessly. Additionally, since inconsistencies tend to come up with monitoring inventory counts, SkuHarmony is very efficient in the reconciliation of all of these inconsistencies. The interface of this app is user-friendly and all events such as making orders or effecting adjustments carried out on one platform get reflected in the other platform in no time. Weglot is the solution that Shopify store owners need if they are looking to own a website that is multilingual. This application is designed in such a way that it gives your website and outlook that is multilingual and it has an interface that is interactive which facilitate the management of translations. 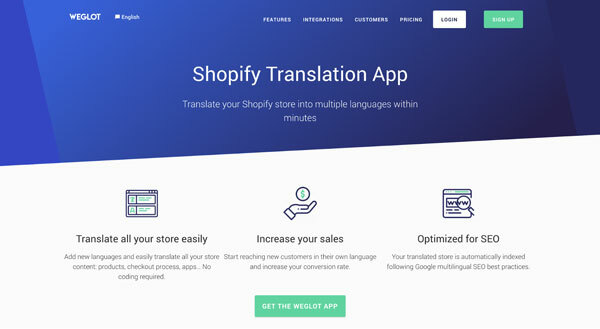 Do you want to get your Shopify store translated into numerous languages within just a matter of minutes? Then, choose Weglot. 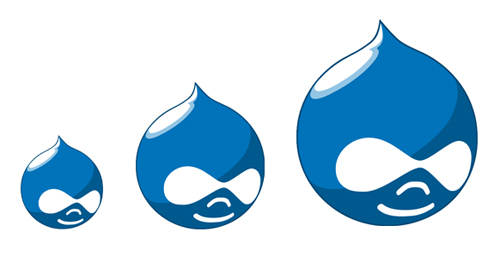 Apart from adding languages, it is possible to translate contents on your store into different languages and the best part is that you do not have to be a coding guru to do this. Then again, another great feature is the fact that this application is SEO optimized and highly compatible with every theme and app on Shopify. 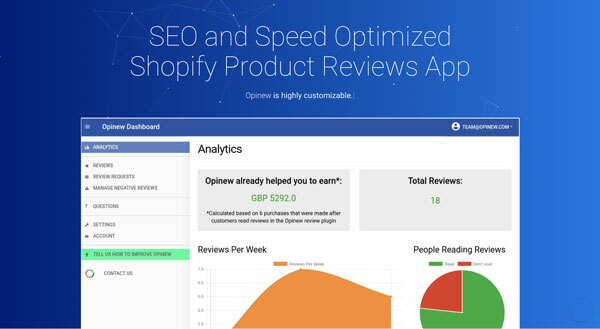 The Opinew – Shopify Products Reviews App and Importer is the best when it comes to guaranteeing improvements in the productivity, revenue generation, as well as, the efficiency of your store. Reviews continue to serve as a very crucial part of business operations as they are known to be the catalyst in how buyers make decisions regarding your products. Then again, as a seller, you need to know that reviews will either help your business to grow or hinder its progress if you get just one negative review. Reviews, also, are connected to SEO and with the use of the Shopify app called Opinew, your brand can get to rank favorably with your star ratings online. 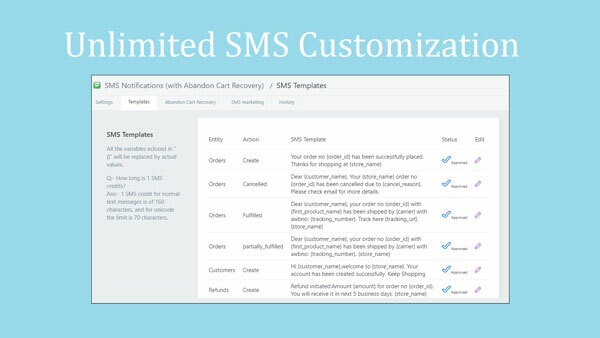 If you are a Shopify store owner and need a viable method for the implementation of abandoned cart recovery via SMS, then, what you need is SMS Notifications. From carrying out activities like updating customers regarding their orders status, notifying them about a created account, getting your orders created, fulfilling or canceling your orders, as well as, abandoned cart recovery using SMS, this is the app to do all of that and more. SMS Notifications enhances your communication with your potential customers in more than 220 countries while giving you a platform on which to convert any customers that have probably abandoned their carts to ensure that you recoup revenue from all channels. Lead generation, as well as, the ability to convert first-time customers is one of the keys to successful online businesses. With OptiMonk, you now have the perfect opportunity to capture email subscribers without much hassle while ensuring that your online venture continues to expand. There are shop visitors that just breeze into your online store and leave without really performing any desired activity and most times they do not return. These visitors have to be targeted and you can do so using their emails which gives you an opportunity to persuade these first-timers to make subsequent purchases from your shop. 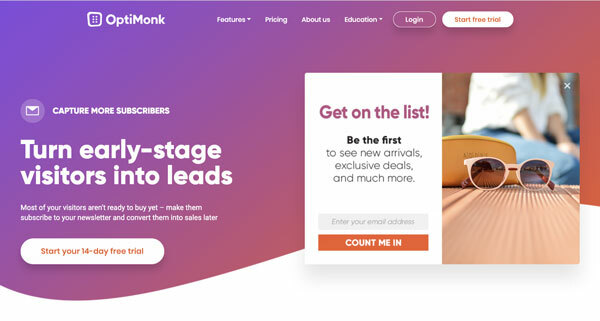 OptiMonk will help you to build an email list of your shop visitors who are interested in your offerings and target them using newsletters which can help you to convert them in the future. This Shopify app is user-friendly, intuitive, and GDPR compliant. This Shopify chatbox provides e-store owners with the capability of assisting their everyday customers who visit their shop on the go and this translates into sales. 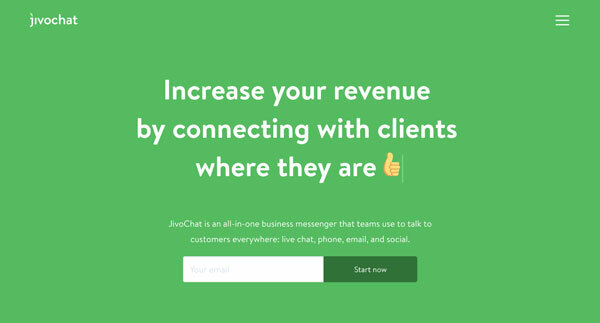 JivoChat enhances top-notch communication with more than one customer at a time. With this app, you will be able to interact using special features like canned responses and sneak-peeks. Additionally, there are more than 90 languages that you can interact in while getting to view vital information regarding your visitors like their click source, as well as, their location. A leading eCommerce Syncing Software that has totally changed the communications landscape for marketplaces and online shopping solutions. 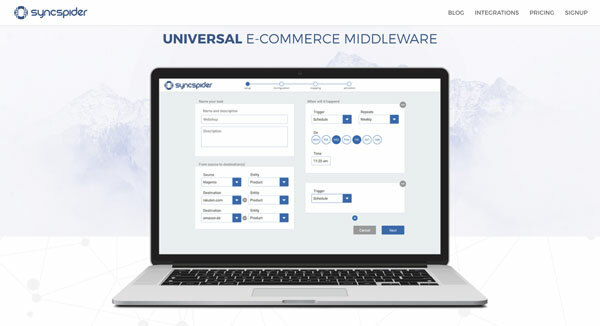 If you are a Shopify store owner and are looking for a perfect way to integrate your ecommerce platforms while carrying out functions which include import, export, and large data synchronization, SyncSpider is worth giving a try. Now, all the challenges that you face with regard to dealing with a lot of data sets while struggling to ensure that every system of yours stays updated are taken care of with this fantastic Shopify app. Now you can save valuable time and make your brand even more unique with the Shopify page builder. 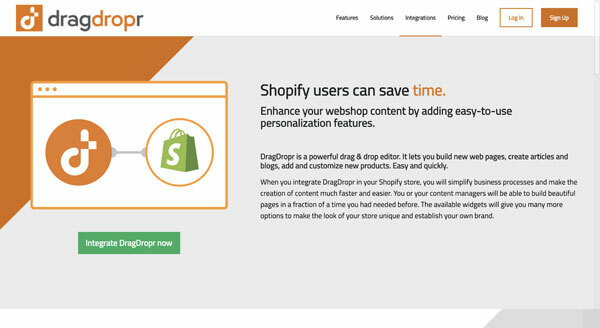 DragDropr is a drag-and-drop editor that is extremely powerful and it offers Shopify store owners the possibility of designing their own webpages, blogs, and get to customize products fast and easily. Innovative Shopify store owners that are always looking to have a more unique brand can take advantage of the widgets which come with this fantastic tool to customize their store. By 2021, worldwide retail ecommerce sales will reach $4.5 trillion. You should ensure that your online store is positioned to reap the rich dividends that ecommerce has to offer for business owners online. Make use of these apps to increase your lead conversion and revenue conversion rates.